Congratulations to the “Pioneers”! Thanks for your support! See you next year! While I was the Division Commander of the 3rd Infantry Division of the Philippine Army, I had two chances to visit the island of Siquijor. First was when I called courtesy calls to the Provincial Governor of Negros Oriental and the Catholic Bishop of Dumaguete City. 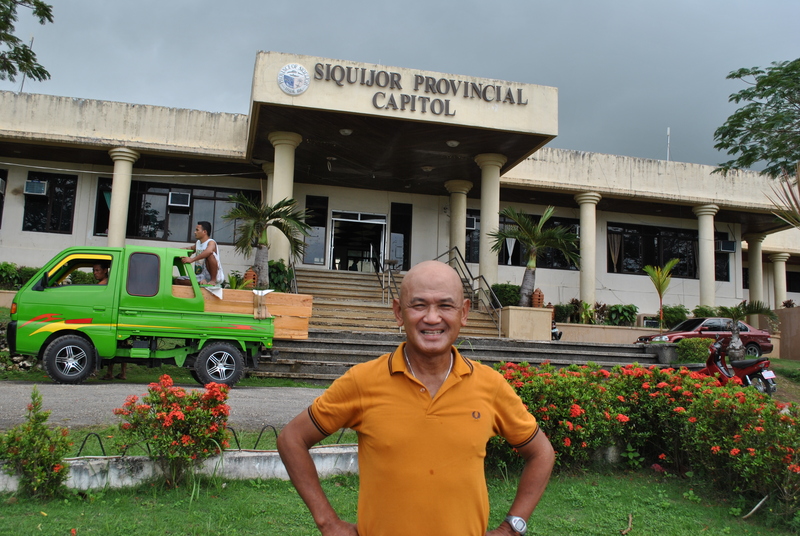 After my calls, I had a one-day trip to the island of Siquijor but never had a chance to visit other places except its capital town, Siquijor. The 2nd time was when a newly-designated Chief of Staff of the AFP was honored by the Local Government of the Island being a native of the province. I was the Military Host for the Military Honors given to the former AFP Chief Staff General Alexander Yano and it was a chance for me to get around the island with the Provincial Governor and Guest of Honor. 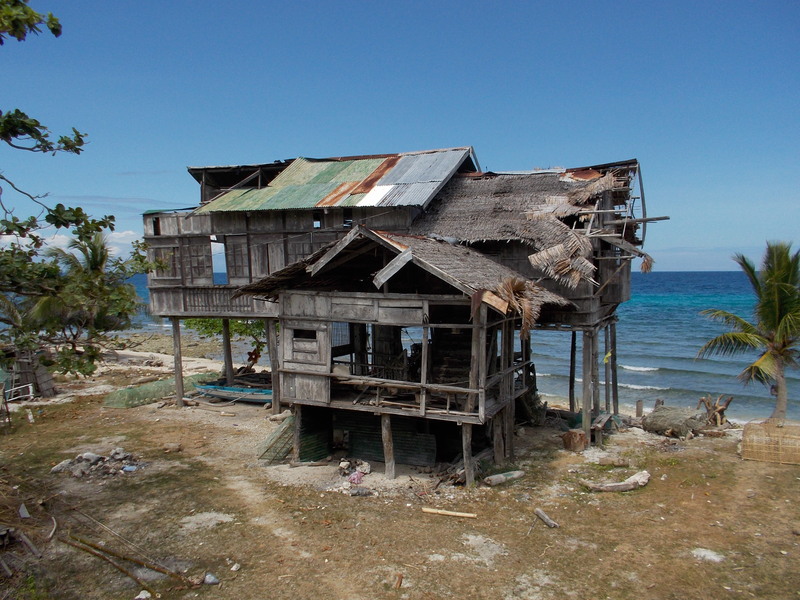 I can still remember that the whole party stayed in a beach resort being operated and owned by the local government which is located at the northeastern end of the island. 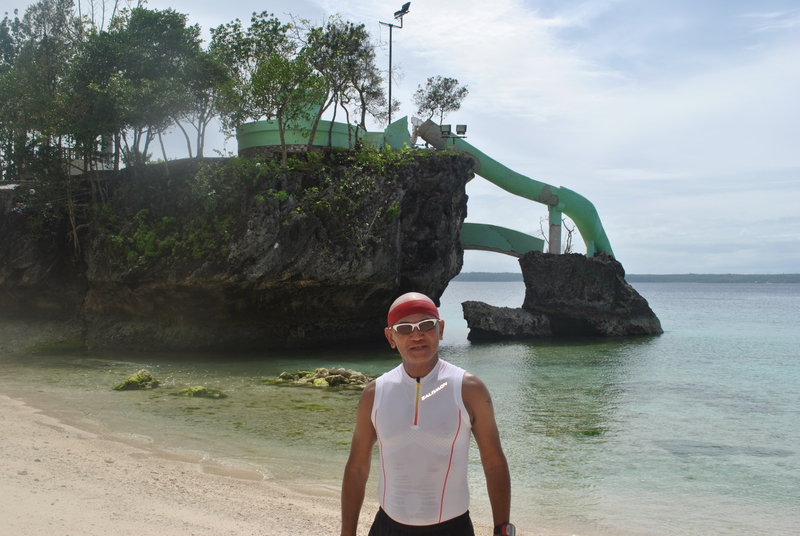 Five years after that last visit, I decided to visit the island purposely to run around its circumferential road where all the municipalities would be visited. There was no intricate plan whatsoever except for the purchase of a round trip plane ticket to and from Dumaguete City. My visit and run was a low-key activity as I did not bother to call the running clubs in Dumaguete City and my contacts in the military. 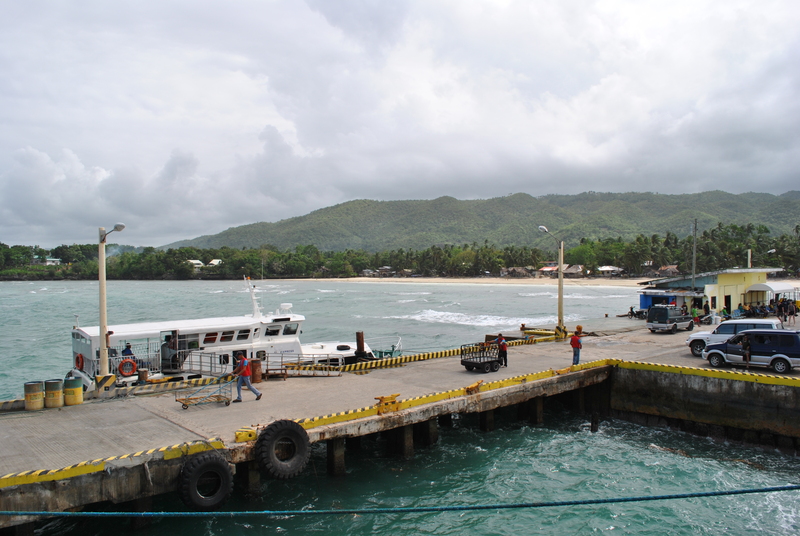 While I was on a ferry boat to the island, I decided to call the Philippine Army’s Brigade Commander in the area and asked for some assistance in the island who would suggest a place to stay and where I could rent a multi-cab as my support vehicle. In a few minutes and exchanges of text messages, my arrival, stay, and itinerary in the island were all set and arranged. As soon as I got out from the ferry boat, a police vehicle with 3 police personnel were at the pier waiting for me. The tallest among them is an Officer, Police Inspector Vincent Paul Dumaguing, who is the designated Operations Officer of the Provincial PNP Command. He hails from Davao City and a graduate of the PNP Academy. I told Police Inspector Dumaguing about my purpose in the island and he was happy and excited to know it. 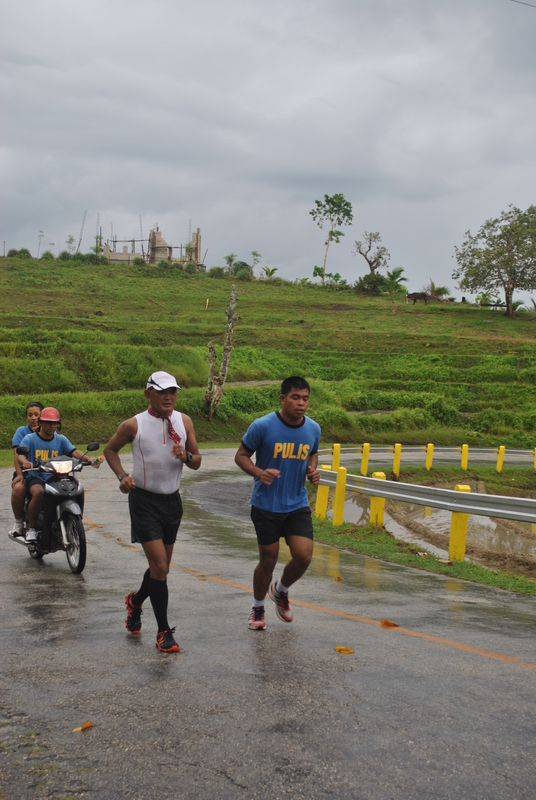 His relatives happen to be runners, ultrarunners at that, in Davao City. He said that his relatives had been planning to run around the island if their schedule would permit and he was laughing because the honor for them to be the first runners to run around the island would not be given to them. I requested that I should be brought first to the Provincial Governor or to any of the Local Government Official present in the Provincial Capitol for my courtesy call. It was unfortunate that the Governor was out of the province. But I was able to talk and explain my purpose for my stay and visit to the Provincial Tourism Officer who happens to be a lady. She was excited to hear and amazed that I would be running around the island on the following day after my arrival. I told her also of my plan to bring ultrarunners from around the country in the next few months for them to experience also what I’ve seen around the island. The lady promised to me that she will relay my plan and intention of conducting a running event to the Provincial Governor. P/Inspector Dumaguing knows those cheap places to stay as I requested him for a “homestay” type of accommodation. Although there is No Wi-Fi connection, you can’t go wrong with a P850 a day for an air-conditioned room which is near to the beach and the owner can cook any fresh food that you can buy from the fishermen around or from the public market. After I settled in my room, the owner of a multi-cab came knocking on my door and we made the deal fro me to rent his vehicle. Later in the afternoon, I went to the public market to buy my water, soda drinks and food to bring during my run. The police car was my utility vehicle on my first day with P/Inspector Dumaguing as my guide. After coming from the public market, I made a briefing to P/Inspector Dumaguing about my schedule for the run. Time of Start was 4:00 AM at the Francis of Assisi Church Bell Tower which happens to be the Start Area of the Fun Runs being held in the island. My target time to finish was 12 hours for the 75K distance around the island. I was fetched by the driver of the multi-cab at 3:30 AM and was brought to the starting area which is 2+ kilometers away. 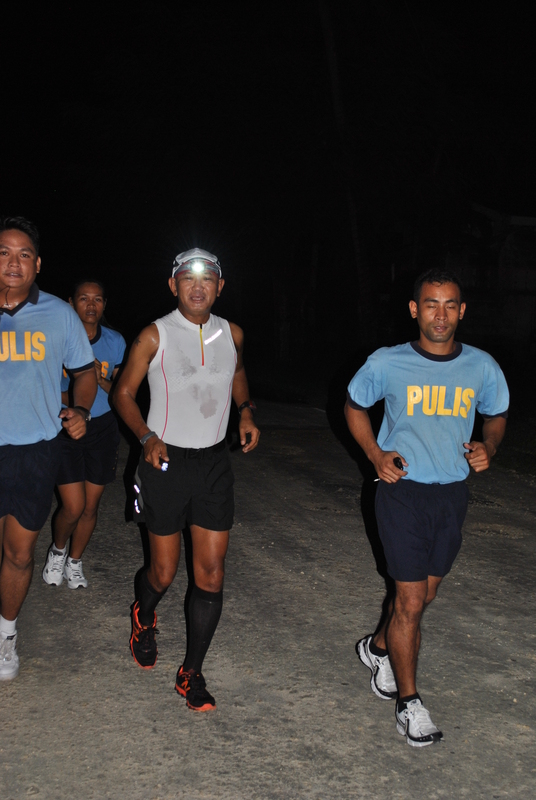 I was surprised to see P/Inspector Dumaguing with four (4) other Police Personnel in their athletic uniform telling me that they will join me in my run! Of course, they will do some relay as they wanted me to run with at least one of them as my guide/pacer or safety runner. I really appreciate their gesture to accompany me during the course of my running. Four of us started from the starting area at about 4:00 AM and it was still dark. I was wearing my headlight but I observed that there is a motorcycle on the back of us giving us more illumination of the road ahead through its headlight. It was a slow and easy run from the start from Siquijor (The Capital Town of the Province) and the next town to hit was the Municipality of San Juan! 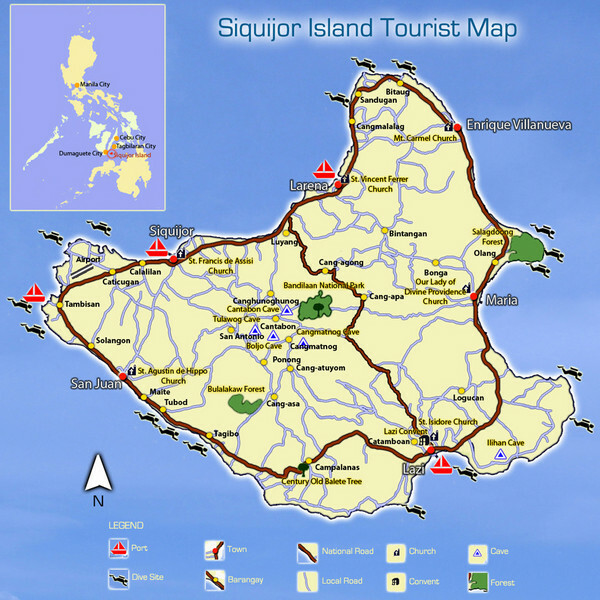 San Juan is 10 kilometers away from Siquijor as we run the island in a counter-clockwise direction. San Juan is famous for its many beach resorts as the paved road is just a few meters from the shoreline. This town as compared to the other towns in the island is so blessed because of the abundance of water, from the ground, from the streams, and from the shore. 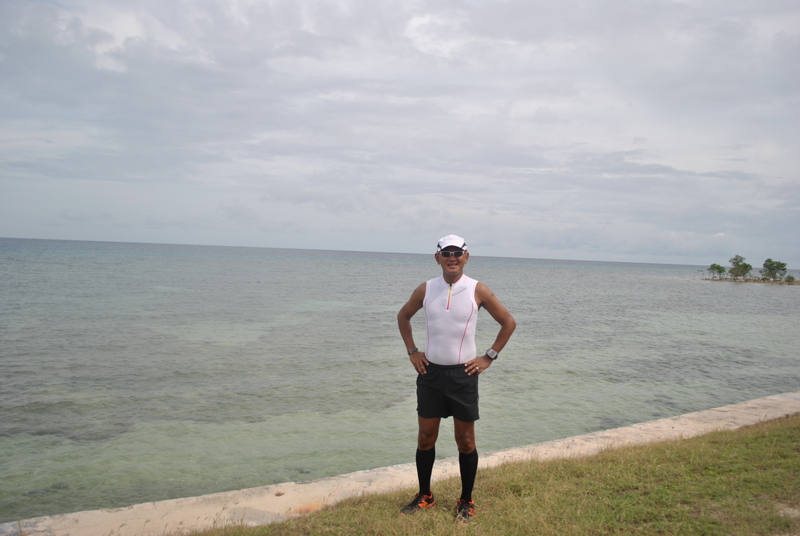 The course is flat on this section and we can feel the cool breeze coming from the sea as we ran. Almost all the Resorts and Diving Spots are located on this town. We stopped at the Municipal Hall of San Juan and we got inside the Municipal Police Station and I was introduced by P/Inspector Dumaguing to all the Police on duty. I found out later that P/Inspector Dumaguing sent a Flash Message to all the Municipal Police Stations that a “Running General” from the AFP will be running around the island on that day and he will drop by in their offices! Wow! It appears that I will some sort of inspecting their respective police stations for a surprise visit! The next town is Lazi. This is where uphills and downhills would start but the scenery is becoming better because you have the sea on your right and the vegetation and hills on your left plus it was already daytime! 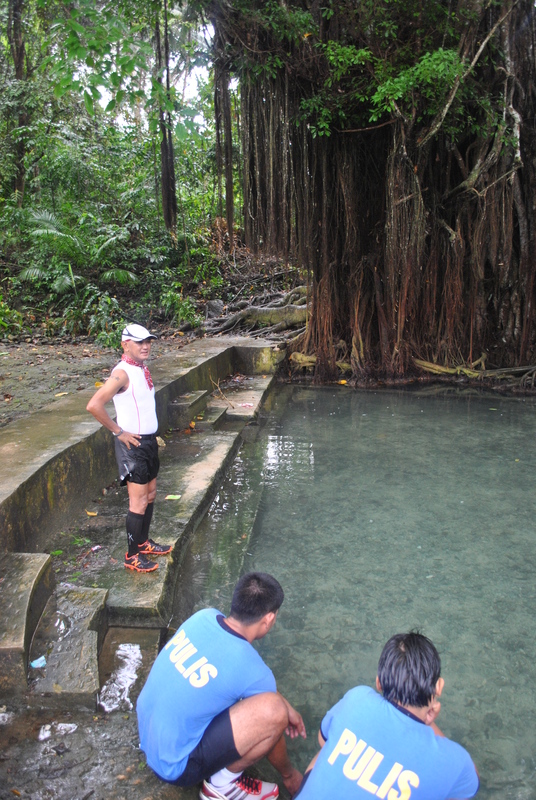 I have to stop at the famous Enchanted Balite Tree which is believed to be more than 100 years old where its roots would be the source of fresh and cold water. This place is a famous tourist spot because of the clear water enclosed in a pond and the magnificent view of the huge tree’s trunk and roots! I was able to stop by the Lazi Church and the famous Convent which happens to be the biggest in the entire country. After dropping by the Police Station, I was met by a person riding in tandem on a motorcycle. The person was Retired Captain (equivalent to Colonel) Monte in the Philippine Navy who is a native of Lazi and presently having his vacation as Balikbayan as he now resides in Las Vegas, Nevada with his family. I think we had a conversation lasting for about 15 minutes and he really knew me as a runner because we were classmates in one of the Senior Military Schooling/Courses when I was then a Lieutenant Colonel. Of course, he remembers that I was always the #1 in the Physical Fitness Test for the said Course. From Lazi, the next town is Maria. This is the more scenic than Lazi and the route is getting more exciting in terms of variety of elevation and the scenery. As I was running farther, the scenery was getinng more beautiful! 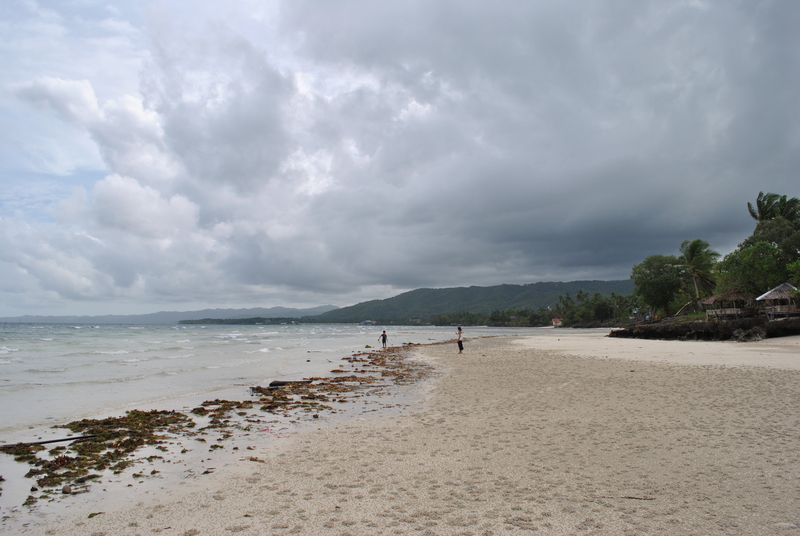 Maria is the location of the Provincial Government’s Beach Resort, called the Salagdoong Beach Resort, which is located in a vegetated/forested area and beach. 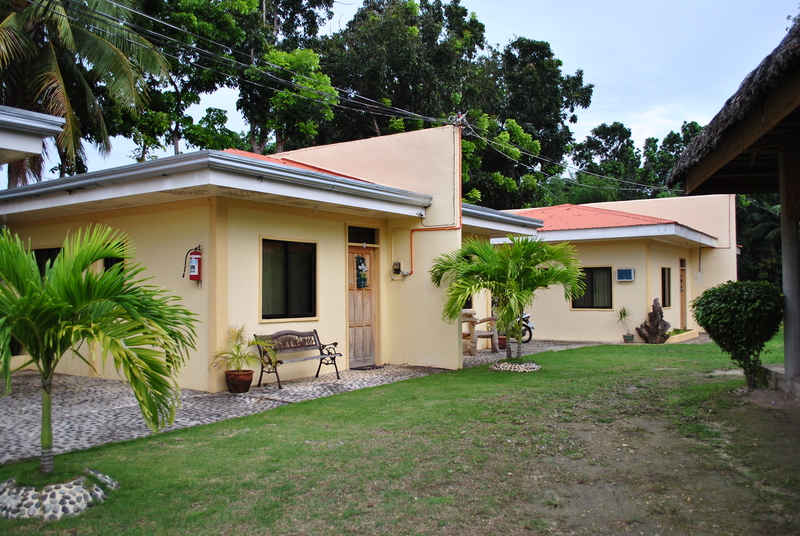 The Resort is located 3 kilometers from the National Highway. I stopped running at the road that leads to the Resort from the Highway and rode at the multi-cab just to see and have a picture of the place. I’ve stayed in this place overnight at the Hotel Agripino when I was in the company of General Yano when he was the Chief of Staff of the AFP. Swim & Wade On The Beach Every Time You Stop! At the Salagdoong Beach Resort, we shared with the members of the PNP the simple packed lunch that I’ve prepared for the run. The food was enough for us to continue the adventure run as we had a chance to eat some snacks/bite foods from the sari-sari stores along the Highway. I resumed my running from the point where I’ve stopped along the National Highway. 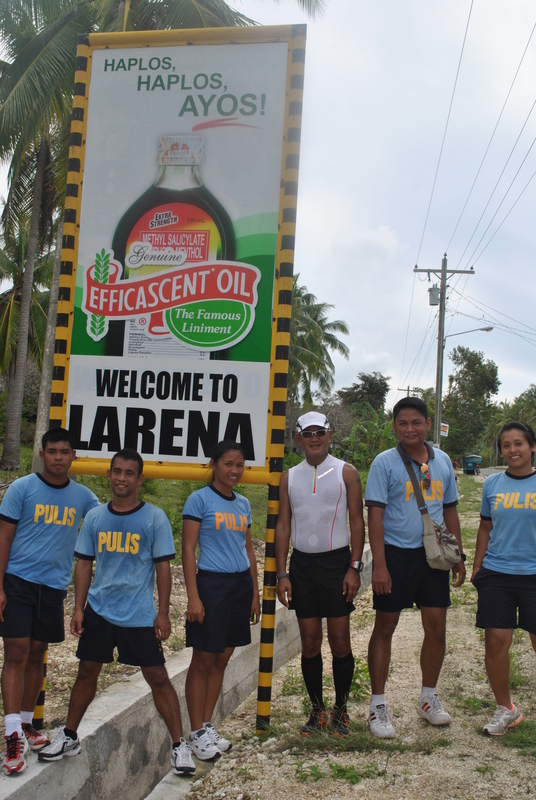 At this point, the PNP personnel were already tired and they had to relieve themselves one by one but one of them maintained as my pacer/companion. The beach scenery was simply amazing and I was tempted to stop and simply ran towards to the beach and dip my feet and body to the sea water. But I didn’t want to waste my time as I had to finish the run within 12 hours. The next town is Enrique Villanueva. As practiced in other towns, I had to drop by the Police Station and meet the Chief of Police. The Chief of Police while he was in his car, was able to pass us from the area of Lazi. 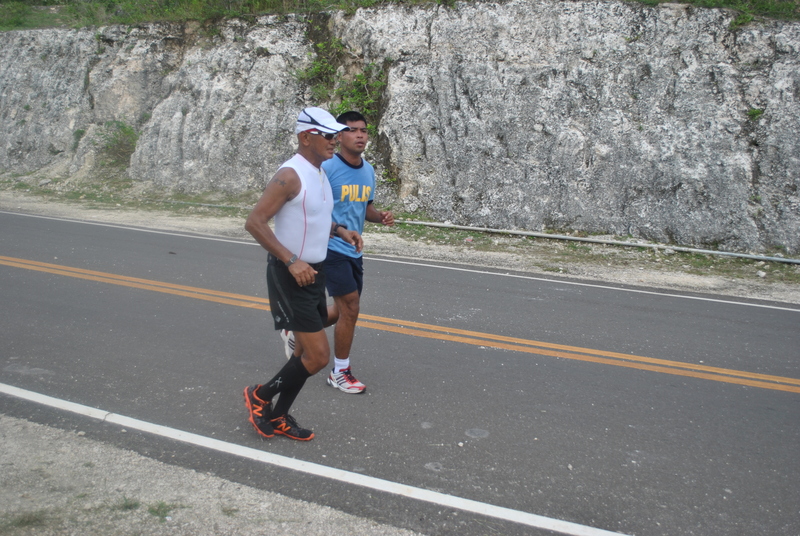 He could not believe that I was continouosly running and walking from Siquijor up to his municipality. 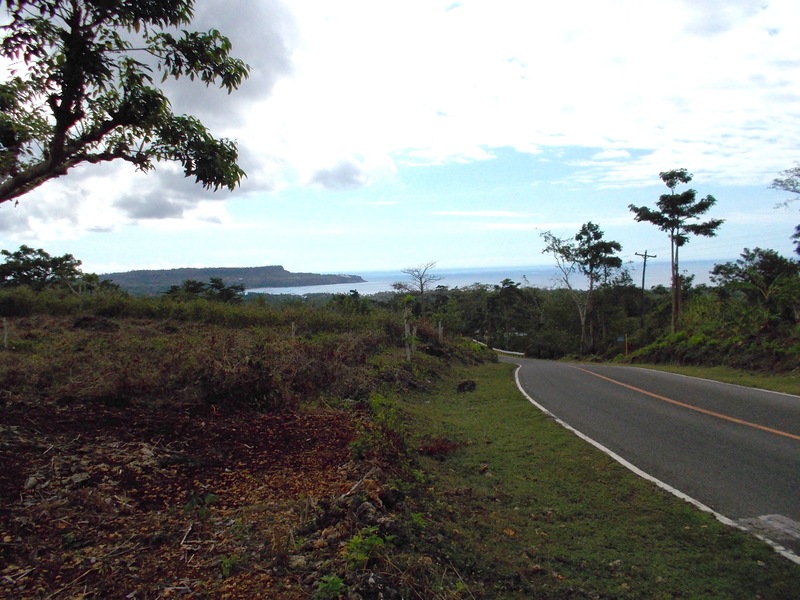 The town’s poblacion is located near the beach/seacoast and from this place, you could see the islands of Bohol and Cebu. After a brief talk with the Chief of Police of Enrique Villanueva, I continued my run and walk as the elevation profile started to be rolling in nature, again! I knew in a matter of time, I would be entering the last town of the island which is Larena. Larena was the first capital town of the province when it was promulgated in 1971, however, after a year, the capital town was transfred to Siquijor. Larena has also a lot of Beach Resorts to offer as I saw from the different Ads posted along the highway a few kilometers before I reached its Poblacion. Larena is a populated town which is considered as a commercial town with its seaport where most of the RO-RO and other freight ships would arrive and leave the place. 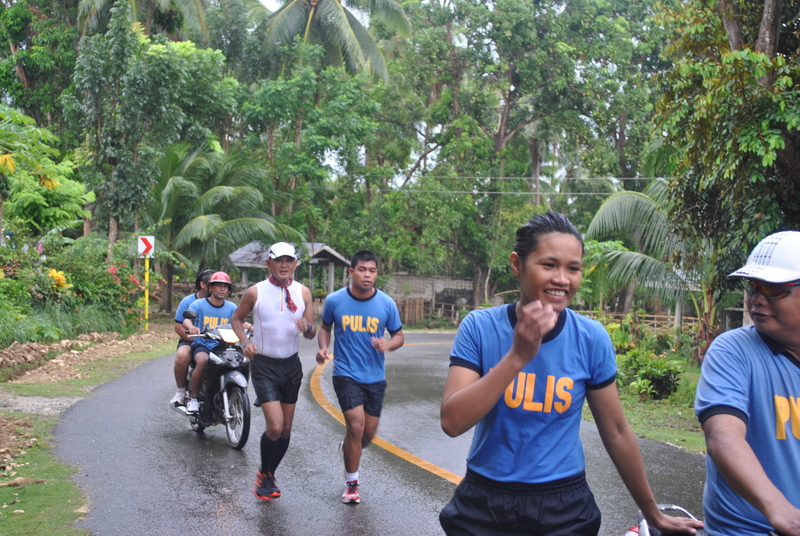 I told PNP Inspector Dumaguing not to drop by the PNP Municipal Office anymore as I decided to continue my run in order to meet my target time of 12 hours to reach the finish line in Siquijor. From Larena, a distance of about 10 kilometers separates me from reaching the place where I started. I really enjoyed the view of the town as I could see another uphill climb from a distance as I left its Poblacion. On my right would be the nice view of the sea with lots of mangrove and a highway with limited number of vehicles plying on it. I could see a lot of motorcyle-riding people including women as if they own the whole highway. Slowly and surely, I was inching my way towards the Poblacion of Siquijor. My Police escorts were happy that my adventure run is about to be finished and we were expecting and talking of what to order and eat at the place where I was staying once I crossed the finish line. Finally, On My Last 10K! I finally reached the place where I started at 4:30 PM, which means that it took me 14:30 hours to run around the island province of Siquijor, to include my rests and visit at the Salagdoong Beach Resort in Maria. As I was being transported to the place where I was staying, I’ve finally decided that I would conduct an Ultrarunning Event in this island as soon as possible. And by the way, the distance recorded in my Garmin Watch was exactly 75 Kilometers! 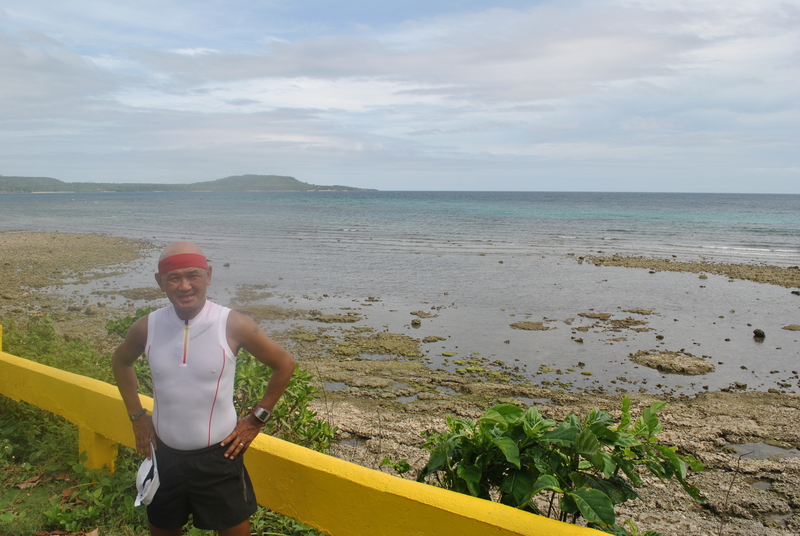 This is my first Adventure Run for the year of 2013. See you in Siquijor soon!